Board the Fairy Queen Express from Old Delhi Railway Station and reach Alwar. 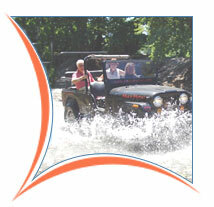 On arrival you will be received and transferred to Sariska Wildlife Sanctuary. After checking in rest of the day on your own. 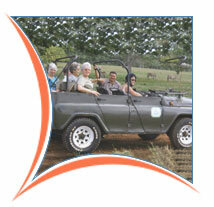 Morning take a jeep safari into the jungles to witness the tigers and other wild animals. Return back to hotel by noon. After lunch again proceed for a Safari as once is not enough to explore the sanctuary. Back at the hotel, rest of the day on your own. Drive to Jaipur. Arrive and check in at hotel. Evening walk in the Pink City to shop in its colorful bazaars. Day sightseeing of the City Palace Complex and Amber Fort. Visit to an ethnic resort for local Rajasthani dinner. After checking in at Bharatpur, excursion to Deeg to see the elaborate water palaces built by Raja Surajmal Jat. Early morning visit to Keoladeo Ghana National Park for the unbelievable variety of native and migratory birds which can be seen effortlessly. Driving towards Agra visit the abandoned town Fatehpur Sikri. At Agra in the latter half of the day visit Marine Plaza and Agra Fort. Evening free to relax. At appropriate time, drive straight to Delhi airport/railway station for your journey back home.